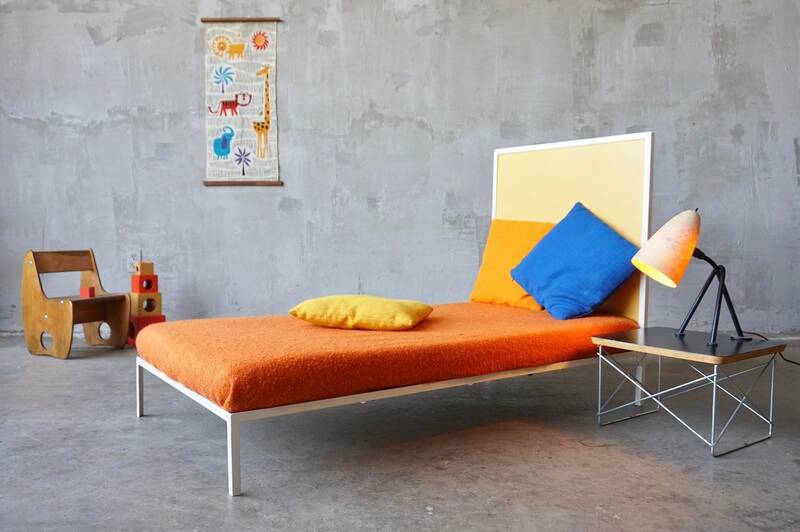 Steel Framed Modernist Childs Bed. 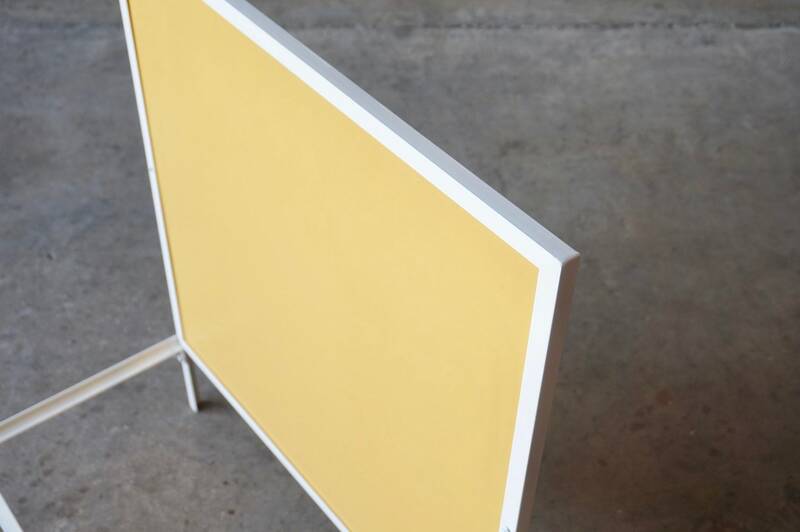 Simple in materials and design with clean lines, easily customizable to suite your color scheme. 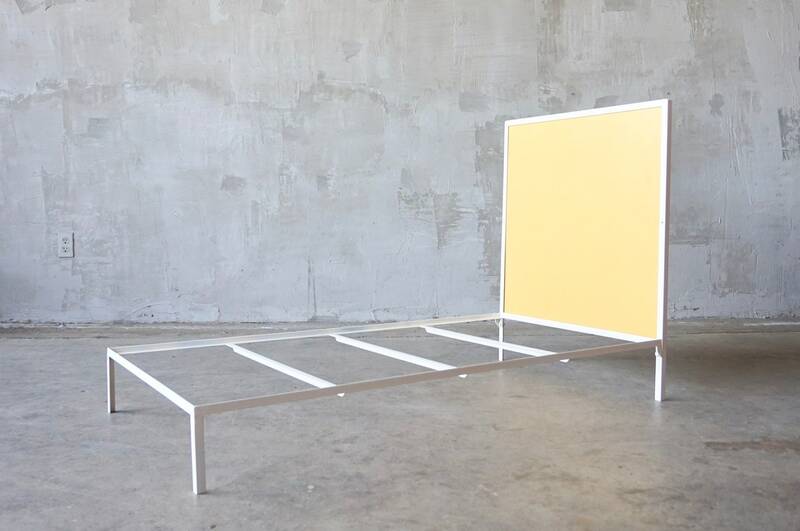 This frame is intended to fit a standard child’s size mattress (52”L x 28”W). 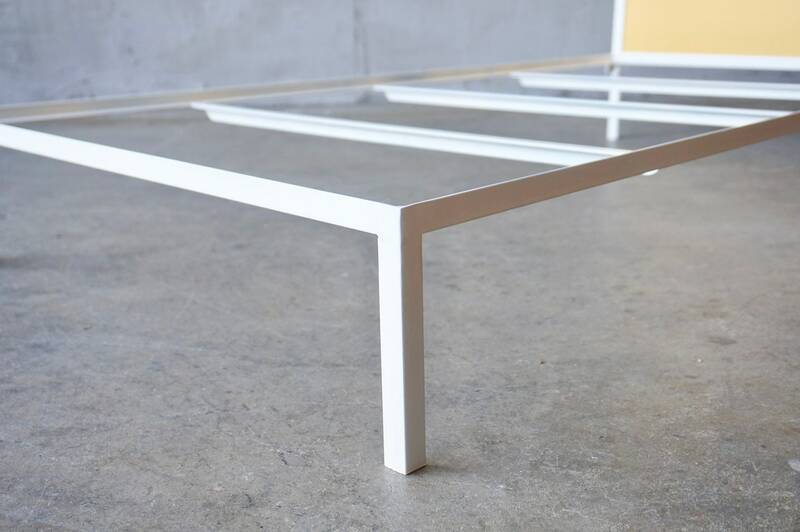 Constructed from powder coated .75” angled iron and enameled birch plywood. 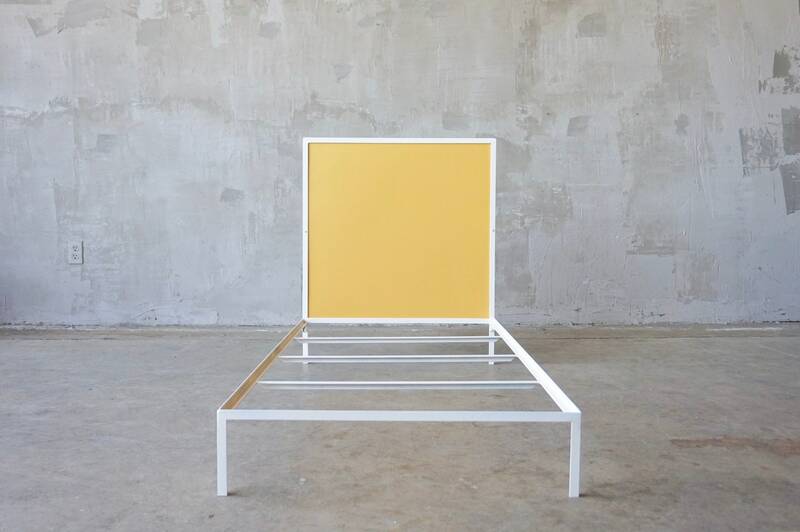 Can be ordered unpainted, as pictured (ivory frame with ochre headboard) or in customer specified color. These are handmade to order, please allow 2-3 weeks for shipment.